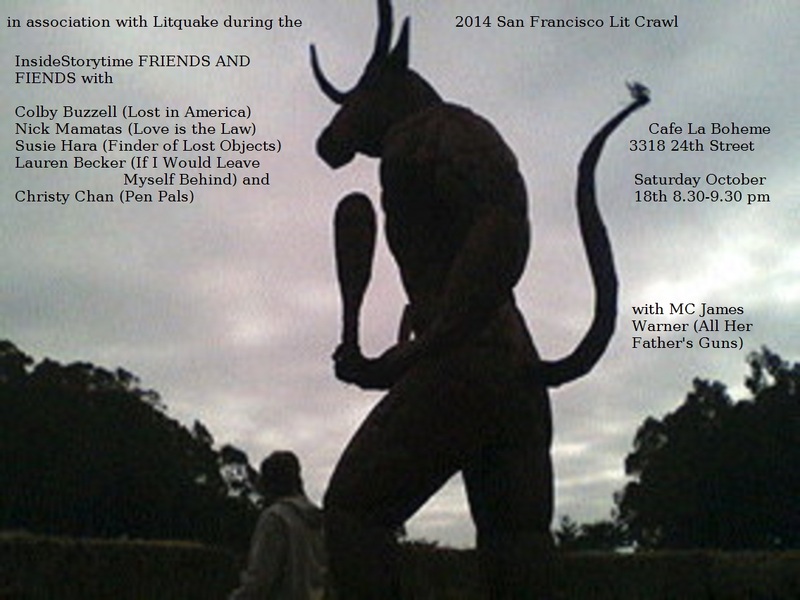 In association with Litquake's wondrous San Francisco Lit Crawl, Colby Buzzell read the amazing scene from his forthcoming novel about a war veteran in a writing workshop. Nick Mamatas read a salamander story he wrote for his infant son. Susie Hara read about a finder of lost objects from Finder of Lost Objects. Lauren Becker read about sad girls and disappointing men. Christy Chan talked about her movie "Pen Pals" about her childhood letters to the Grand Wizard. Michael Lavigne had to cancel for this event.